MUNICH -- BMW rejected claims that it colluded with Volkswagen Group and Daimler over emissions treatment systems after EU regulators said they would launch an investigation into the allegations in a move that could result in hefty fines for the companies. The European Commission said on Saturday that its antitrust regulators were investigating allegations that German automakers have been operating a cartel to fix the prices of diesel emissions treatment systems using industry committees. The move followed a report in Der Spiegel magazine on Friday that said BMW, Daimler and VW Group, including its Audi and Porsche brands, may have colluded for decades on emissions treatment technology, including the size of tanks containing AdBlue, a urea-based liquid needed to help filter nitrogen oxides from diesel emissions. BMW said it has gone further than competitors to ensure its diesel cars meet regulatory guidelines while still performing well on the road. The company says it combines AdBlue fluid to neutralize pollutants as well as a system that stores nitrogen-oxide emissions, adding it sees no reason to recall or upgrade its latest diesel vehicles. The company is offering a voluntary upgrade on older Euro 5 models. 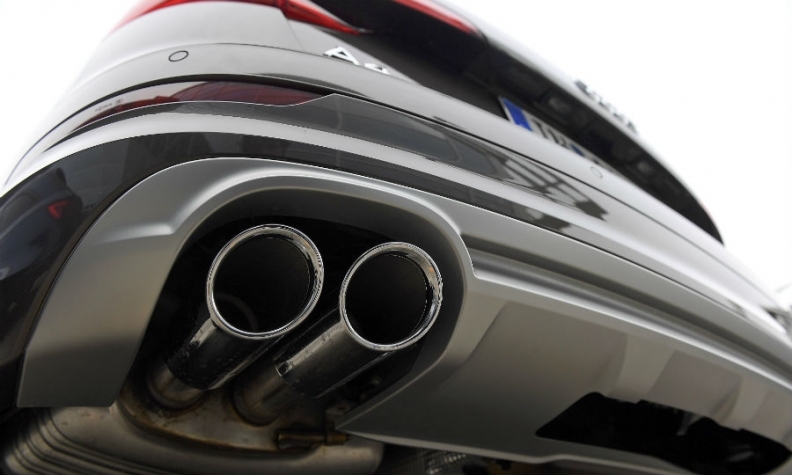 "We compete to provide the best exhaust treatment systems," BMW said in Sunday. "Unlike other manufacturers, BMW Group diesel vehicles employ a combination of various components to treat exhaust emissions” and thereby "fulfill all legal emissions requirements and also achieve a very good real-life emissions performance." VW will hold an extraordinary supervisory board meeting on Wednesday to discuss the allegations, a source familiar with the matter said on Monday. A VW spokesman confirmed the meeting but declined to give further details. Analysts were uncertain how damaging the allegations could be for the automakers. "It will be extremely complex and difficult to assess the financial damage that these collusions have triggered," Arndt Ellinghorst, a London-based analyst with Evercore ISI, said by e-mail. "There is also a large gray area between legal and illegal collaboration." Exane BNP Paribas automotive analyst Stuart Pearson said little was known about the allegations, and that no signs had emerged about price fixing toward the consumer. "More ugly details could yet emerge, leaving German manufacturers -- and the EU auto sector -- still firmly in the sin bin for now," Pearson said. Allegations will continue to weigh on the automakers' stocks, he said. Extending declines from Friday, BMW fell 2.5 percent, Volkswagen declined 3.1 percent and Daimler dropped 2.6 percent at 9:23 a.m. in Frankfurt trading on Monday. BMW said the combined emissions systems means its diesel cars use little AdBlue and so it doesn’t need a large tank. When more fluid is required, drivers are notified by the vehicle and can easily refill, according to the statement. The objective of discussions with other automakers concerned creating an AdBlue tanking infrastructure in Europe, BMW said. Meanwhile, Daimler chose to avoid "especially problematic" meetings with competitors after revelations of truck cartel in 2011, Sueddeutsche Zeitung reported, citing unidentified people familiar with the matter. Daimler declined to comment. Citing a document submitted by VW in July 2016, Spiegel reported that the five German car brands met starting in the 1990s to coordinate activities related to their vehicle technology, costs, suppliers and strategy as well as emissions controls in diesel engines. The discussions involved more than 200 employees in 60 working groups in areas including auto development, gasoline and diesel motors, brakes and transmissions. Talks may have also involved details on retractable roofs for convertibles, the magazine reported. The German cartel office, or Bundeskartellamt, said in a statement Friday that it searched the car companies last year as part of a probe into a possible steel cartel. It didn’t elaborate on a possible follow-up probe on car technology, saying it can’t comment on ongoing investigations. According to the cartel office, the raid took place exactly a year ago and targeted six carmakers and suppliers. Der Spiegel said that the follow-up probe was essentially a by-product of that raid, which involved 50 employees of the cartel authority, aided by local police and regional law-enforcement officers. "I advise the car industry to clear the air now, to say what has happened, and then we can look to the future together again," Volker Kauder, caucus leader of Chancellor Angela Merkel’s Christian Democrat-led bloc in parliament, said Monday on ARD television. "If the antitrust violations were to prove true -- and there’s a lot to suggest that -- then one must really say the clear sentence: The rule of law also applies to the car industry."